Team Solent Kestrels are proud to announce an abundance of end of season awards as both the Men’s and Women’s D1 teams are recognised in various categories. D1 Men’s play caller Matt Guymon has been named the Coach of the Year, whilst both TSK’s Americans Herm Senor II and Travis Charles make the team of the year selections. To round out the D1 Men’s award, the social media team for all Men’s content have been named the “Best Social Media”. On the Women’s side Kestrels’ American guard Geena Gomez is this seasons Player of the Year as she led the side to a 3rd place finish and semi final cup and playoff appearances, with Club stalwart Cliff Fullbrook picking up the Secretary of the Year for the D1 Women’s side. Both Herm Senor II and Travis Charles make the Team of the Year after two MVP calibre showings this season for TSK. Herm, in his second year out of Quincy University, showed why he is amongst the leagues most influential guards as he took the reigns of Coach Guymon’s side, whilst Travis, in his rookie season out of University at Albany, was the most dominant inside force the league had to offer with a number of 30 point + showings. Herm posted averages of 18.1 ppg, 7.3 apg (1st), 4.8 rpg, and 3.0 spg, as he provided a little bit of everything for TSK. Whilst his partner on the inside, after joining up with the squad just 5 games into the season, was dominant from the get go averaging 23.7 ppg (3rd), 9.0 rpg (10th), 2.7 apg and 26.0 EFF (4th), all whilst shooting 62.4% from the field. 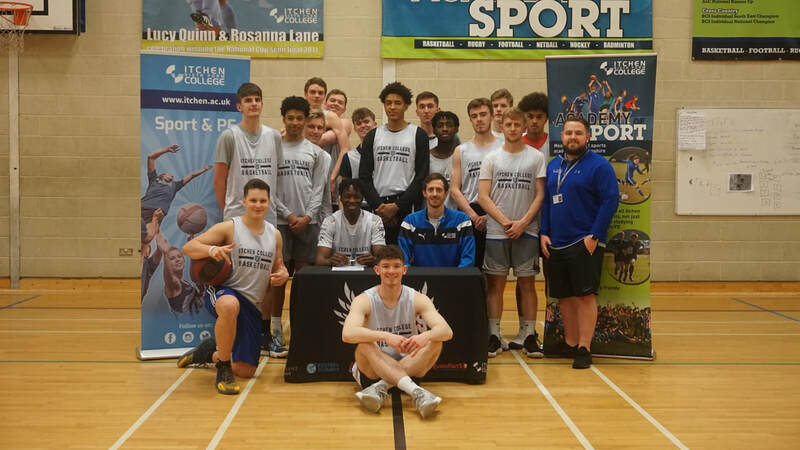 Itchen College Basketball Academy stand outs Jeremy Sochan and Peter Turay have been named to the All EABL South Conference 1st & 2nd Team respectively for the 2018-19 season. The awards recognise the top 10 players from each conference based on their contributions for the season, as voted for by coaches across the conference. Sochan joined the Itchen programme this year, as he made the move down from Milton Keynes to his boy hood home in Southampton, where he has made an immediate impact and featured for the Team Solent Kestrels Division 1 Men’s side at the age of 15. Having represented the Polish national team this past summer, he has relished the opportunity to step up a level domestically and lead Coach Guymon’s side in scoring this season (17.8 ppg). He also led the team in rebounding (11.7 rpg), assists (3.9 apg), steals (2.4 spg) and blocks (2.1 bpg) showing his all round game. This included two player of the week performances also, in victories on the road over CoLA (25 points and 17 rebounds) and Barking Abbey (31 points and 15 rebounds). Peter Turay also joined Itchen for his “prep” year this season as he made the move from the well established City of London Academy/Southwark Pride programme. Much like Sochan the 6’7 big man, who has since signed a full athletic scholarship to Lamar Community College, hit the ground running early in the season establishing himself as one of the most dominant forces in the conference. Turay was also named Player of the Week for his performance against Alec Reed in week 7, behind a 33 point, 18 rebound performance. His stats this season were also worthy of the nod for the 2nd team as he posted, 16.2 ppg, 9.1 rpg, 1.4 apg, 1.4 spg and shooting 64.5% from the field. Itchen College Head Coach Matt Guymon was proud of both players on their selection and added this; “We are extremely proud of both Jeremy and Peter on being named to the All EABL South Conference teams, they have represented our academy well both on and off of the floor. They have both made great progress with their development this season and I can't wait to see them excel at the next level." Everyone at Itchen Sixth Form College and Team Solent Kestrels would like to extend their congratulations to both Jeremy and Peter and we are all excited to see how much more than can develop! Itchen College Basketball Academy and Team Solent Kestrels are proud to announce, Head Coach Matt Guymon, has been named the EABL South Conference Coach of the Year for the 2018-19 season. It comes off the back of leading his squad to the Final Four with a regular season record of 15-3, which was enough for a 2nd place finish in the South Conference of the Elite Academy Basketball League. With arguably some of the best coaches in the country in the EABL, it is an award that is held in high regard and this will now be the third time Coach Guymon has received this award. He was named the Coach of the Year in back to back years for the 2014-15 and 2015-16 seasons, where he led Itchen to the Elite Eight and Final Four respectively. Itchen navigated their way through a loaded South Conference only dropping 3 games in the regular season, whilst totalling 15 wins, including a number of tough come from behind and road victories. Despite handing North #3 seed Derby a double digit loss in the EABL Playoffs, at the Elite Eight stage, Coach Guymon’s team came up short last week in Loughborough as they fell to Charnwood College (North #1 seed). It is still all to play for however in the AoC Premier Cup as Itchen will face New City College in the quarter finals stage on Wednesday. From everyone at Team Solent Kestrels and Itchen College Basketball Academy we want to extend our congratulations on this well deserved achievement. Missouri and Tucker-Blackford were both key figures in the South boys and girls squads, who came 2nd and 3rd at the U15 Regional Development Tournament back in early September. They have both continued to make great strides with their development under the guidance of Team Solent Kestrels club coaches, Khalid Missouri and Vicky Milner, at the U16 National League level. Missouri has also feature a number of times for the U18 Mens side this season, making the step up with Coach Jack O’Keeffe’s side. The TSK U16 Boys PG narrowly missed out on the U15 Squad last season, where he made the final camp along with team mates George Clark and Rory Urquhart-Hawkins but wasn’t named to the final 12. He was the only player to make it to the final stage a year young after leading his U14 TSK side to a National Championship, so will be looking to stake his claim for a spot in the final roster this time round. However for Lucy it is her first call up to the National team set up after impressing at the RDT and with Team Solent Kestrels girls sides, she will be keen to show her talents at the first camp in the Easter break. “I am really happy and proud to be recognised as one of the top U15 girls in the country. I know I have a lot of hard work ahead of me, but I am excited about that. I am looking forward to meeting the rest of the girls that have been selected and hopefully making some new teammates.” Added Lucy on her selection. The first camp will take place at the National Basketball Performance centre in Manchester at the beginning of April half term, before the Girls squad will play in a tournament in Nottingham whilst the Boys will travel to Paris for the Lions Cup on Easter weekend. The squads will meet up again in Manchester during May half term, before they’ll conclude their programme later in the summer at the Copenhagen Invitational Tournament in June. Again all at TSK would like to extend their congratulations to both of our young athletes and we wish them all the success for the camps and future selection. Turay, who is currently averaging 18.2 ppg, 9.5 rpg & 1.5 apg all while shooting 67.1% from the floor, is in the midst of a breakout senior year in the EABL, where he has established himself as one of the more dominant big men in the country. Posting 7 double doubles in 13 games, Peter has shown his constant improvement on both ends of the floor so far this season, including a huge 33 point and 18 rebound effort against Alec Reed Academy, which would secure him his first EABL Player of the Week accolade. Turay hails from Carshalton, South London and begun his basketball journey with the very well established Southwark Pride/City of London Academy programme, under the guidance of both Coach Jackson Gibbons and Sterling Muschett. He is one of a number of both boys and girls athletes to graduate their fantastic programme and move onto the college level in the states. Upon graduating from CoLA in 2018, Peter made the move to the South Coast where he has featured for both Itchen College in the EABL and Team Solent Kestrels in NBL D1. Peter will join up with his team mates in the states at the beginning of next season and will be joining a side, in the Lamar Runnin Lopes, who are consistently developing young talent and pushing them to the next level. Their latest example being, Jubrile Belo, former Barking Abbey and GB U20 big man who will move onto Montana State University in NCAA D1. 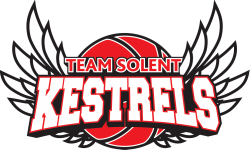 Team Solent Kestrels are excited to announce that the club has been invited to take part in this years BBL Trophy competition. The knockout format competition will see Kestrels in the hat with all 12 BBL franchises, with the inclusion of the Wales National team, Scottish National League side St. Mirren West College and our South Coast NBL D1 counterparts Worthing Thunder. The trophy has a history of inviting the top teams in NBL D1 from the previous season as well as a team from the Scottish National League each season. Last year saw Loughborough Student Riders take Reading Rockets’ spot in the competition where they saw off Sony Centre Falkirk Fury in the 1st round before running London Lions mightily close in the Quarter Finals. Team Northumbria also featured in last years competition but BBL side Worcester Wolves proved too strong for them in round 1. Kestrels will learn who their opposition will be this Wednesday, as the draw is completed live on the BBL’s Facebook page (link below). The draw itself will see a bracket format used, so teams will be aware of their route through the competition. The first round fixtures are set for the weekend of 21st/23rd December and all information regarding the tie will be communicated in due course. Teams who reach the quarter finals will play in the new year over the weekend of 11th January 2019 with the semi finals taking place over two legs beginning on the weekend of the 8th February 2019. There will be no change with the finals venue, with the Emirates Arena in Glasgow playing host to the eventual finalists on Sunday 10th March 2019. With this seasons fixtures being finalised in the coming weeks, player signings being confirmed and pre season fixtures arranged ensure you stay up to date with everything Team Solent Kestrels by following us on all social media platforms, links to all are below! Itchen College & Team Solent Kestrels forward duo Ashley Briggs and Matt Hughes will head to the capital this weekend where they’ll match up amongst the top junior talent in the country at the 2018 Hoopsfix All Star Classic. Briggs will return for his 3rd appearance in the showcase, this time in the Class of 2018 category whilst Matt Hughes makes his first appearance after a break out year in the EABL in the underclassmen game. Briggs who represent Team Black commented this on his 3rd selection; "HASC is always something I look forward to and I am really excited it has returned this summer. Of course it's an honour to be selected for the event and I thank everyone who had a hand in that process. Having the opportunity to play against the top players in the country in one game doesn't happen very often and it's just great to be a part of it all. Whilst Matt Hughes also representing Team Black (Underclassmen) weighed in on his first time selection; “For me personally it’s a great honour to be selected and even recognised amongst the top players in the country. To play with and against some of the best players in the country is a rare occasion and I am really looking forward to the game and the experience as a whole. With so much hard work behind the scenes and from all the sponsors that have helped to make it such a great event we encourage our whole basketball community to follow the action this Saturday by heading over to the Hoopsfix social media pages where you’ll be able to catch all the action as it happens! Itchen College and Team Solent Kestrels forward Ashley Briggs has committed to Lake Region State College for the 2018/19 season and will make his move to the North Dakota junior college at the end of the summer on an athletic scholarship. Ashley will follow in former Itchen/TSK big man Harvey Barr’s footsteps and as one Itchen alumni moves on from Lake Region (Harvey Barr graduated from LRSC and will move to a NCAA school) another joins the Royals. The 6’8 big man who hails from Hythe in the south of Hampshire, joined Kestrels aged 13 and has featured for the club through every junior age group since, resulting in a call up for the Division 1 Men’s team last season whilst featuring more regularly this season for the Division 3 Men’s Kestrels side. Briggs also spent his last three season at Itchen College Basketball Academy under the guidance of Matt Guymon and his coaching staff where he has made huge strides in improving his game and his body. Ash earned himself a call up to the England U16 national team during the summer of 2015 where he represented the country at the European Championship Division A facing some of europe’s top young talent and he was again featured in the U18 selection process for the England/GB over the next two summers. He led the U18 Team Solent Kestrels team to the playoff quarter finals last season before taking Itchen College to the elite eight in the EABL playoffs this season after a 3rd place finish in the East Conference. His performances this year saw him land two EABL player of the week awards and with averages of 14.2ppg, 8.5rpg, 2.7apg & 1.3spg landed him a spot on the All EABL East Conference 2nd team. Everyone here within the Kestrels Family would like to take this opportunity to congratulate Ash on achieving his scholarship and we can’t wait to see how he represents once he touches down on American soil next season. And keep your eyes peeled to our social media channels for his new highlight mix in the coming days! Itchen College Basketball Academy & Team Solent Kestrels Forward duo, Ashley Briggs and Matt Hughes, have been named to the East Conference All EABL 2nd Team for the 2017-18 season. The 1st and 2nd teams were voted for by coaches across the league and the accolade considers them amongst the top 10 players in their respective conference. 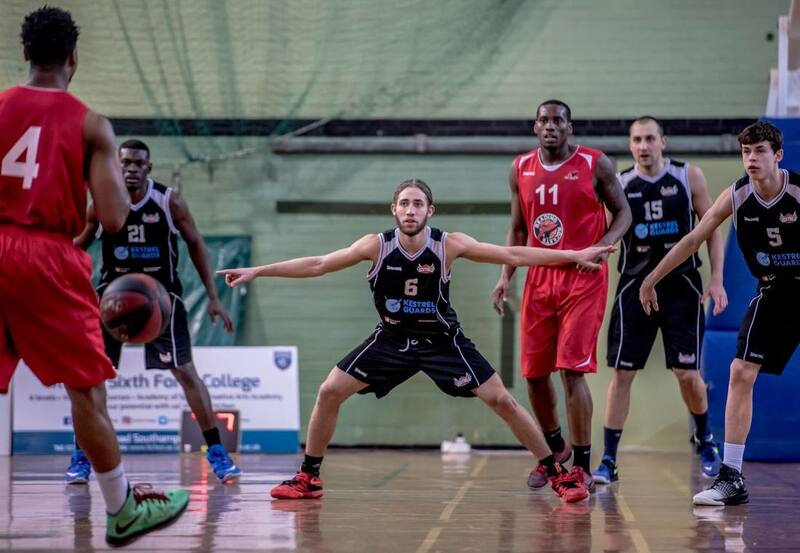 Ash, a former England/GB international, has been a stand out homegrown prospect over the last 3 seasons at Itchen, and this year saw him lead the line for a relatively inexperienced group in his senior year, picking up two EABL player of the week awards. 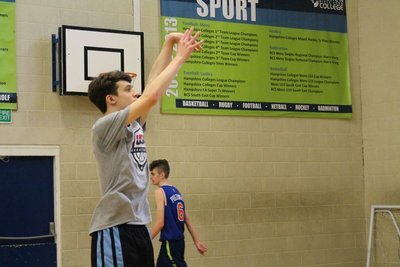 Despite a huge 28 point, 14 rebound performance in the Elite 8 at Charnwood, Briggs and his Itchen squad were unable to overcome the East Midlands academy. With averages of 14.2ppg, 8.5rpg, 2.7apg and 1.3spg the 6’8 forward showed how he has expanded his game doing a little bit of everything including shooting over 40% from the 3 point line, finishing 9th in overall player efficiency and 10th in FT % (71.4%). Briggs had this to say on his selection; “Of course I’m extremely happy to have been selected for the team. We worked so hard as a group this season to get on the same page and managed to do that just at the right time. I can’t thank the coaching staff and my team mates enough for the support they have shown me through out the year and my time at the academy. Also I want to give a big shout out to my team mate Matt Hughes for making the 2nd team this year too. Ash will now pursue his options both in the United States and with Universities in the UK as he moves on from the academy well prepared for the next level. Much like his front court partner Matt Hughes has been monumental this season contributing big time for both club and academy, with several 40+ point games in U18 NBL action and a number of 20+ points performances in the EABL. Whilst Matt is only a 2nd year he posted averages of 19.7ppg, 11.4rpg, 1.9apg and 1.7spg leaving him 2nd in the league for points per game, 4th in efficiency rating and 4th in rebounding. Again another example of the home grown talent continuously moving through the pathway at TSK and Itchen College. Hughes came up big down the stretch during regular season play, posting a monster double double in a down to the wire victory over JMA with 16 points and 19 rebounds. Whilst just two weeks later, he put up 31 points and 9 rebounds in an overtime victory at Barking Abbey to hand them their first loss in almost two seasons. 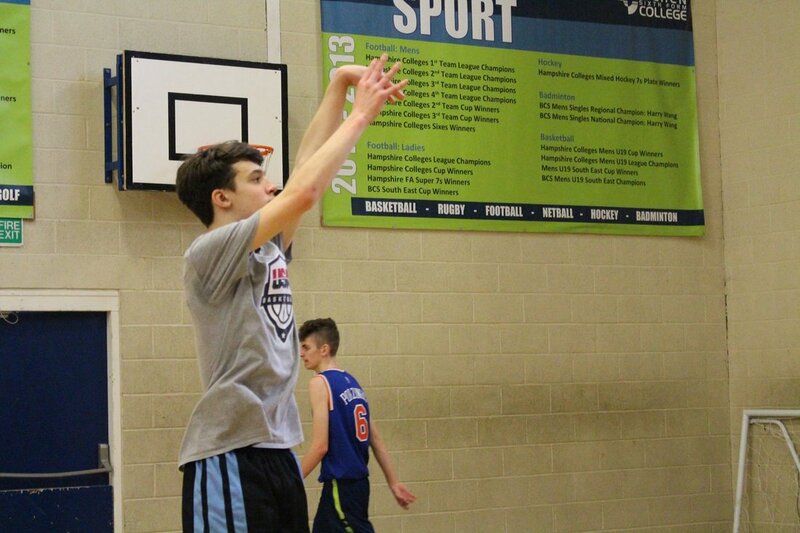 The 6’5 forward will return to Itchen for a third year of study and will feature for the TSK men’s side next season. Itchen College Basketball Academy’s Head Coach Matt Guymon also weighed in on the selection of his forward duo and was extremely proud of their achievements; “ This is a fantastic achievement for Ash & Matt which is testament to the hard work they have put in over the last few seasons. They were both instrumental in our success this year, consistently leading the way in a number of statistical categories and influential in getting us over the line when we needed it most. For our programme this means a great deal, knowing that they both started with Solent Kestrels when they were U14 and have been able to develop into top EABL performers along our player pathway." 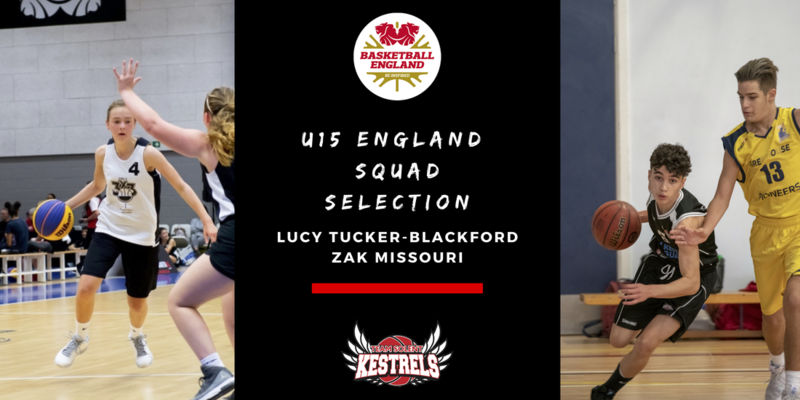 Team Solent Kestrels junior duo Faye Endean and Jack Wiseman have been selected in the initial 34 player England U15/16 squads following successful performances at last weekends U15 Regional Development Tournament in Manchester. The pair will join up with the mens and women’s squad this December for National Team Training Camp in Manchester, after representing the South region in the RDT. “I’m really excited to be selected for the U15/16 England squad this, regionals was another excellent experience especially beating last years winners. I cannot wait for the first training camp in December.” Explained Faye. 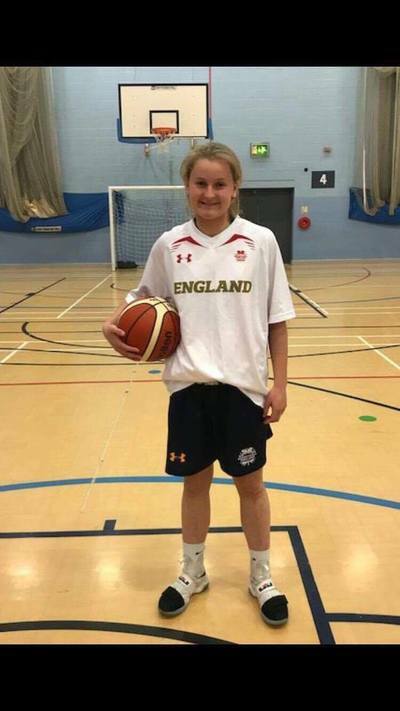 Faye who was part of the England U15 squad last year, played a huge part for both the U14 & U16 TSK’s girls teams last season with several large scoring outputs and will continue to lead the line for both squads again this coming season. Wiseman who has shown a great deal of development through our U14 National League team over the past two seasons with Coach Matt Birch and Coach Khalid Missouri, will now make the step up to U16 level and will also look to feature for the U18 team as the season progresses. Team Solent Kestrels boys players Stan Mellstrom (U16 Premier) and Rory-Urquhart Hawkins (U14/16 Premier) also represented the South Region at the tournament, with Stan finishing 2nd overall in the National Shooting Test. TSK girls contingent of Caitlin Collier, Charlotte Finn, Georgia Taylor and Katie Hopper all joined Faye on the South U15 side as well. With the new season, right around the corner and a great deal of hard work continuing behind the scenes at the club, someone who certainly fits that category is Nick Guise-Smith of Mirror Box Studios. Nick has been working with the club over the past few seasons producing images of the highest quality from predominantly both men’s and women’s fixtures. Nick will again be working with the club this coming season and with Mirror Box Studios’ ongoing support we hope to bring even more fresh content across all our social media platforms this season.